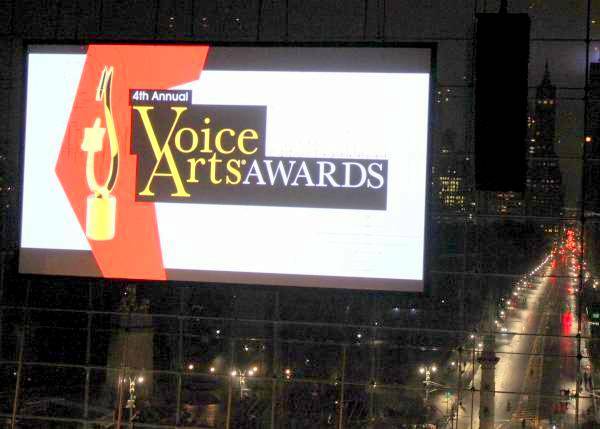 VoiceOverXtra - 4th Annual Voice Arts Awards Gala Honors Winners - And Voice Over! 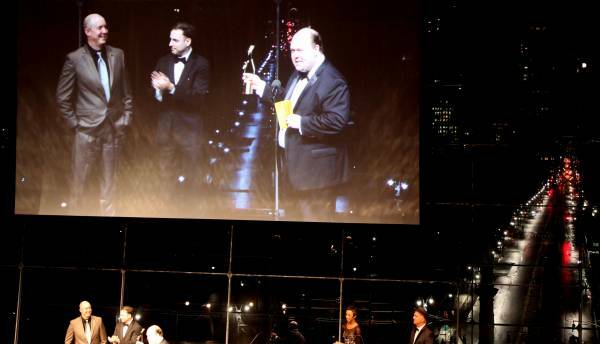 And Celebrates All Winners - And Voice Over! 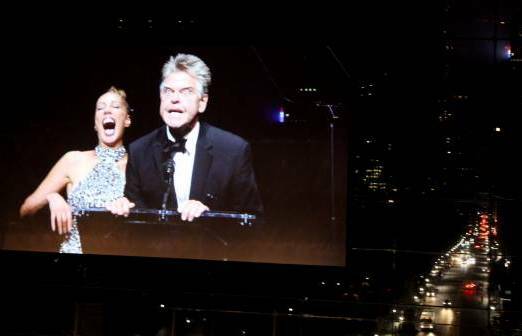 Backdropped by a glistening night-time Central Park, where just hours earlier tens of thousands of runners spurred their passion and determination to the finish line at the New York City Marathon, the stage of the 4th Annual Voice Arts® Awards Gala at Lincoln Center Sunday night (November 5) lit the finish line for another breed of marathoners - voice actors whose accomplishments were honored as among the best in the business. 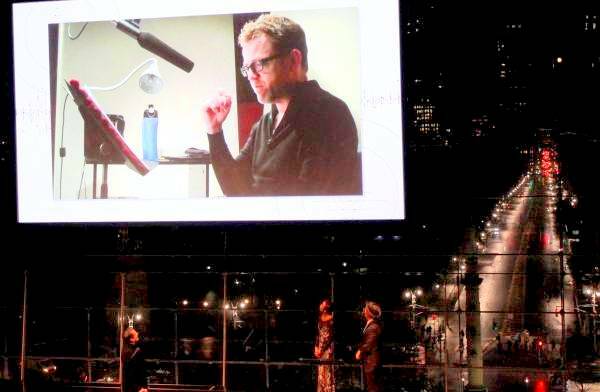 Presented by SOVAS, the Society of Voice Arts and Sciences, this year's competition and Gala continued the tradition of raising awareness of the voice over career (did you catch the Times Square digital billboard?) and of praising outstanding performances with elegance and glamour - from the Red Carpet reception to entertaining presentations and an After Party at the trendy Ascent Lounge. SOVAS Chairman and CEO Rudy Gaskins and board member Joan Baker (both pictured) welcomed all to the celebration. 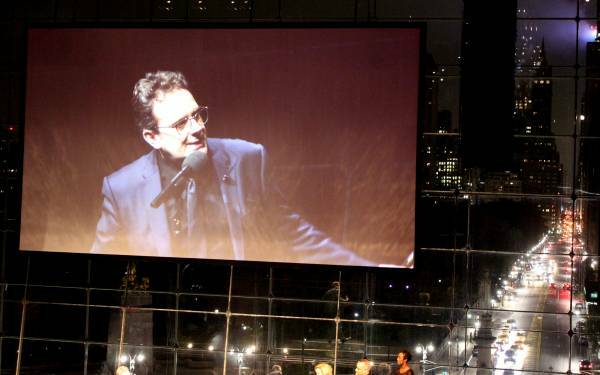 Large screen video of the entire program floated in the New York skyline above the stage at the Jazz at Lincoln Center's Frederick P. Rose Hall. Live announcer / voice talent Mike Kopp introduced the entertaining awards presenters - including Nancy Cartwright (voice of Bart Simpson), Broadway stars Deborah Cox and Tony Chiroldes, Les Trent - Senior Correspondent for Inside Edition (and Rudy Gaskins lookalike), plus VO pros Joe Cipriano, Dave Fennoy (pictured), Scot Parkin, Pat Fraley, Bob Bergen, Robin Miles, Barbara Rosenblat, Sylvia Villagran, Debbe Hirata, Rachel Naylor - two dozen in all. 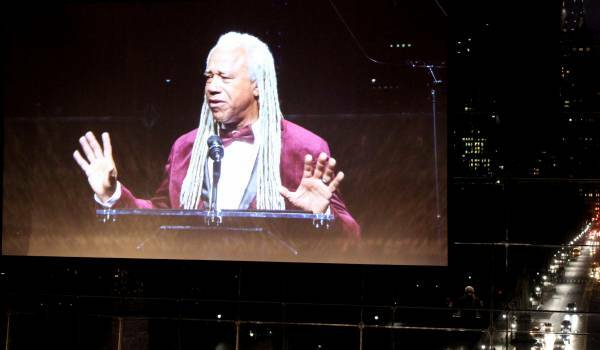 And the names of all category nominees were shown onscreen and announced in pre-recordings by Lisa Flanagan and Frank Rodriguez (Spanish language). 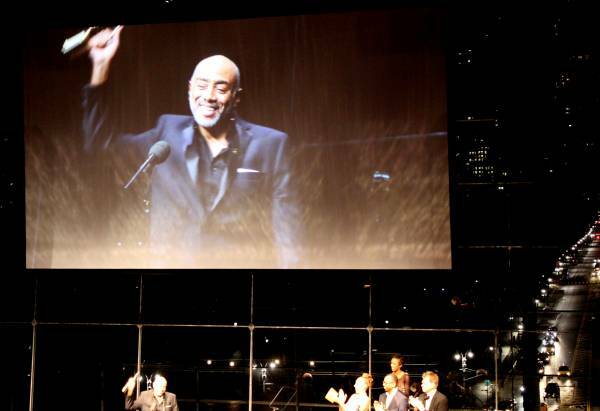 Ironically for their profession, award recipients were sometimes tongue-tied, yet always appreciative of the SOVAS recognition - and also for career support from the voice over community. "Thank you, Joan and Rudy, for being unstoppable!" 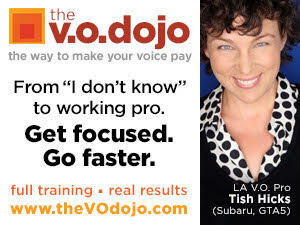 shouted award-winner Vicky Tessio (Outstanding Animation Demo Reel, Best Spanish Voiceover). And two-time award-winner Lisa Flanagan beamed: "To all of you who hold each other up, thank you!" (Audiobook Narration - Mystery, Best Voiceover, and Children's Pre-School Best Voiceover). The presenters themselves had fun: witness Pat Fraley bringing down the house with non-stop character improv, before he and Joan Baker announced Rodd Houston as recipient of the Outstanding Body Of Work, Voiceover award. 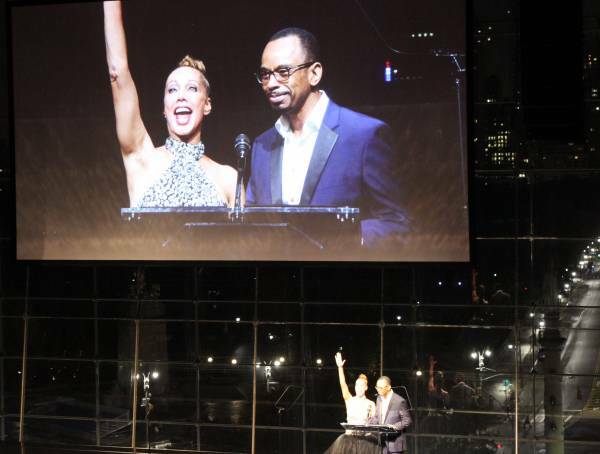 The Voice Arts Awards also praise individuals who speak to concerns of our era - to those who are "gifted with the power of giving voice to people's desires to reach many others," as Gaskins describes it. 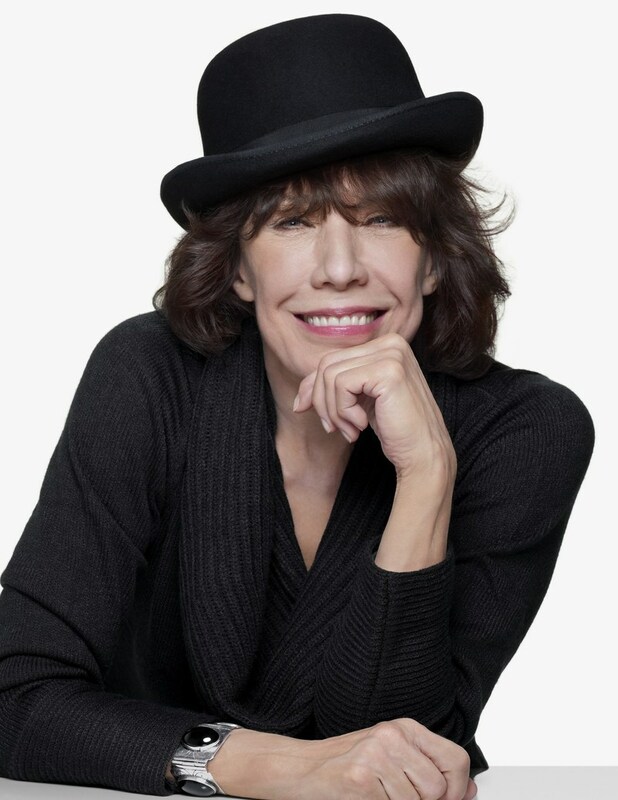 Introduced by voice actor/coach Bob Bergen, performer and activist Lily Tomlin received the annual Voice Arts® Icon Award. 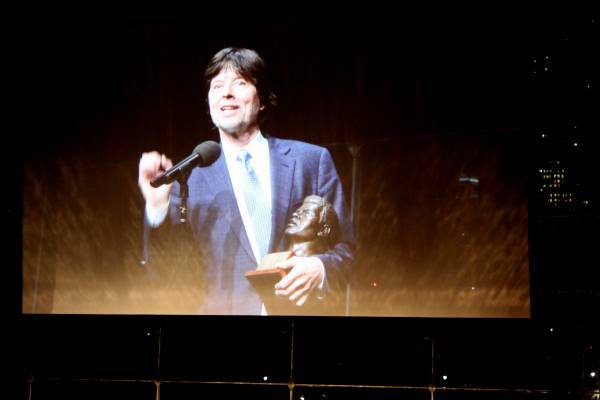 And actor/voice actor David Keith (pictured left) introduced documentary filmmaker/producer Ken Burns (pictured above) who received the annual Muhammad Ali Voice of Humanity Honor. The Broadway Boys sang a touching tribute in memory of performers who have left us in the past year. On the previous day, at the SOVAS That's Voiceover! career event, Nancy Cartwright (pictured) - Emmy-winning voice actor, producer and philanthropist - was honored with the 2017 Backstage Vanguard Award for Arts and Humanities. 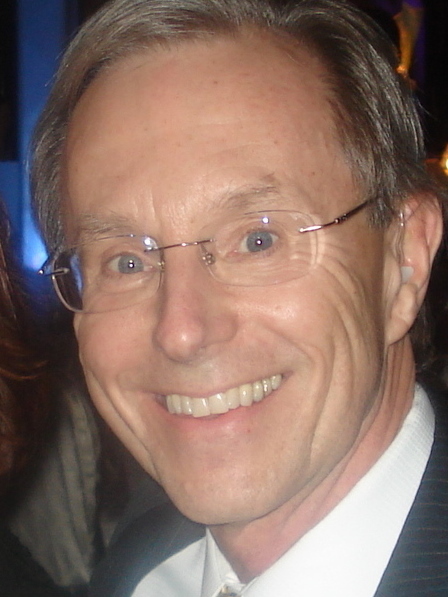 Scores of jurors had earlier narrowed the competition's entries to several nominees in each category, and winners were announced at the Gala to whoops and hollers from the audience. Voice Actor: Mukti Garceau - Title: Cirque du Soleil "La Nouba"
Voice Actor: Diego Osorio - Title: FOX Deportes - NASCAR "We don't Play"
For more about the Voice Arts® Awards, please visit www.SOVAS.org. 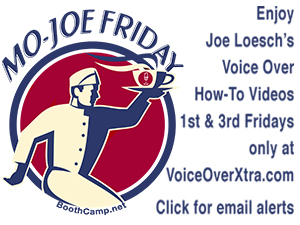 John Florian is the founder/publisher of VoiceOverXtra, the voice over industry's award-winning online news, education and resource center, offering thousands of resource links, how-to articles, webinar training and more. 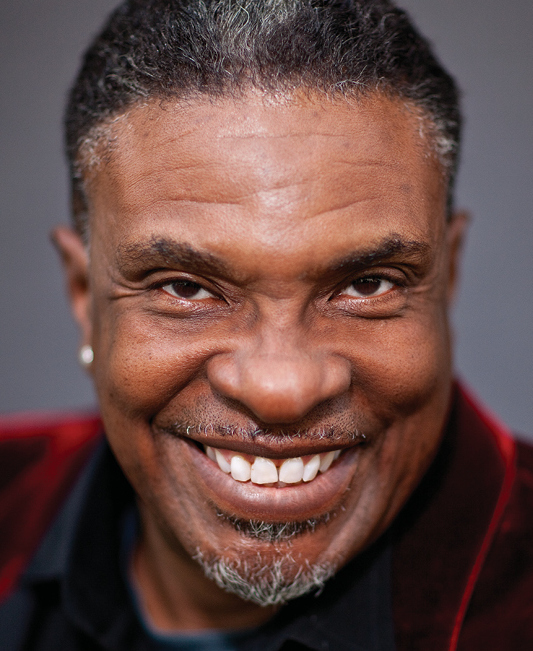 A former magazine editorial director/publisher, John is also a voice talent who merged those two career passions to create VoiceOverXtra in 2007. 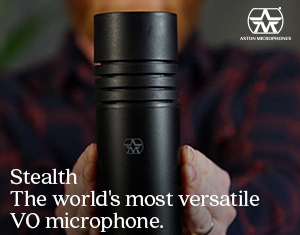 Great article, it would only be better if there were samples of their award-winning mp3's to listen to.